Explanation: Which way to the interstate? 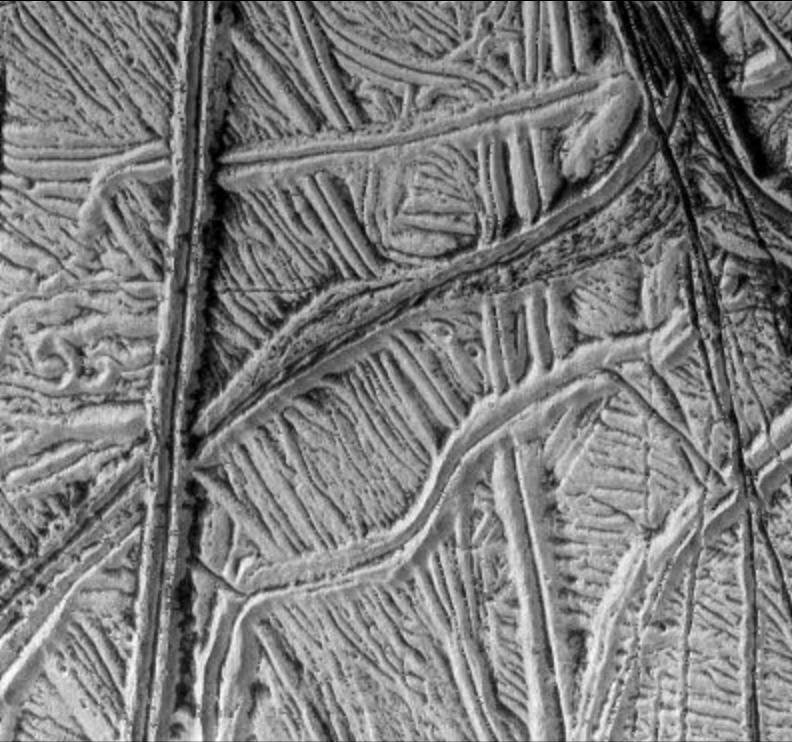 What appears to be a caricature of a complex highway system on Earth is actually a system of ridges and cracks on the icy surface of Jupiter's moon Europa. The distance between parallel ridges in the above photograph is typically about 1 kilometer. 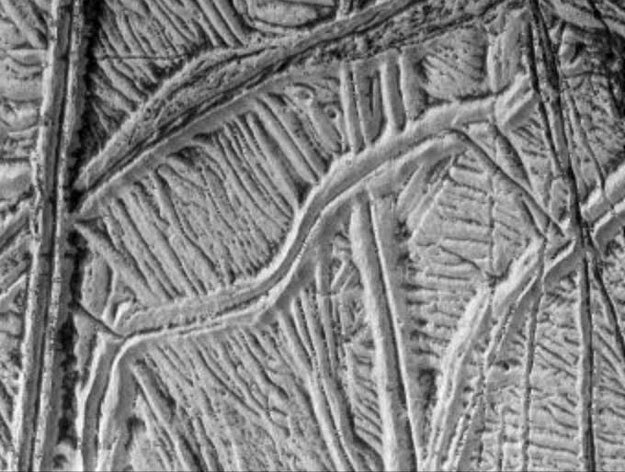 The complexity of the cracks and ridges tell a story of Europa's past that is mostly undecipherable -- planetary geologists try to understand just the general origin of the overall features. One noteworthy feature is the overall white sheen, possibly indicating the presence of frost. Another is the dark centers between parallel ridges, which might indicate that dirty water from an underground ocean recently welled up in the cracks and froze. Recent research indicates that enough carbon exists to support an underwater biosphere, but that Europa's ice crust may be over three kilometers thick in some places.